At least that's what they've told us, but I know sometimes they're wrong so the pinkifying of our universe is still on hold...for now. She is scheduled to make her debut November 13, 2009. Wow!! How wonderful! Congratulations to both of you. I have been wondering how you guys are doing and what you've been up to. I see you've been a little occupied with a new babe on the way. Congrats...and a girl! How fun! Well, that's quite the post to return to blogging with! Congratulations! Ah Google Reader...makes blog-checking a snap. Congratulations!!! November is a really fantastic month to be born in...finishes the year off with non-stop parties and holidays! Congratulations!! How exciting! Glad to see that you are still blogging!!!! Are you Kidding me?! That is great news! How are you feeling? Keep us updated, belly pictures please! That some good R&R. Welcome back. Feeling good? Congrats... With my second kid.. we had three different ultrasounds.. they all told us Boy... she came out a girl.. and she came home from the hospital in Blue and wore blue clothes from 0-6 months! Good luck with the pink! YEAH! I am so excited for you. Congratulations! Wow - congratulations!! That is FANTASTIC news! So good to hear from you guys. I must say I was completely shocked when I saw your blog. 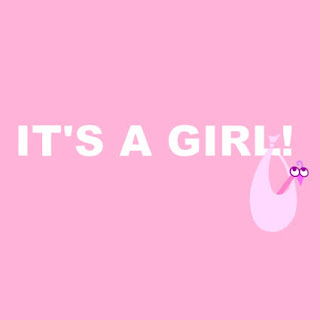 First, that is was finally updated and second, its a GIRL!!! Yeah! Yipee! That is just like my family. Two boys and a princess. Hope you are feeling well. hooray! and (maybe) a girl to boot? wow. I'm sorry I missed you in Utah! Hope your trip was great. WOO HOOOO! Girls are so much fun and she'll have some great older brothers to tease her AND protect her! Congrats! Thats what we were told too. I am still a little unsure if its really a girl! If it is right though our girls will jsut be 6 weeks apart. Next time your in UT lets for sure play! I hope your feeling good. Good luck! Keep blogging. Where have you been? I have been worried about you. Congratulations, that is very exciting. Hey! Congratulations! How very exciting. I have been wondering "where" you have been. My blog has recently gone private, and I was going to send you an invite, but don't have an address for you. Could you email it to me please? okay, does this make you a COMPLETE LIAR??? If you're only 2 weeks behind me, I'm pretty sure the last time we spoke and you told me you were NOT pregnant you really were, in fact, pregnant. And if you know already, why was I thinking it was too early for my ultra sound?? I'm so calling my doctor TOMORROW, I can't stand being the only one NOT knowing! um, so call me. oh, and CONGRATS!! I'm really excited for you. You deserve fun girl clothes after two boys! oh, and can we force them to grow up and be best friends since they'll be so close in age?? So excited for you! Girls rock. Okay, with news like that we won't hold it over your head that you've been MIA FOREVER!!!! When did you announce that you were expecting? Okay I feel like a loser friend. I don't call, I don't write. Baby numero (you see how my Spanish is flourishing?) three is on the way and I had no idea. I hang my head in shame. But, hey, congrats to you. The first thing I asked after Laura came out was, "Is it a girl?" After two boys, I couldn't quite believe it until I saw it either. YAY! But you just had a baby so I can't believe you are having another one but so happy for you to get a baby girl!!! You deserve it. Girls are hell. Welcome to the party. They clothes are good. WOO-WOOT! Congratulations and welcome back. I thought you had been caught up in a coup! Hope you're feeling well and staying safe. Its about time there is a girl we can spoil with pink. Everytime I shop for Garret I want to buy pink (and I resisit for his sake) but now I have someone to buy pink for! Yipee for a Niece! That is WONDERFUL!!!!!!! Congrats to you and your family!!!!!!!! Do you get ill when pregnant? I hope not, friend!! Thank you for all of your kind words and love to me elsewhere in blogland. You are a wonderful friend. Seriously, I am over the moon happy for you!!!! YES. I AM STILL CHECKING YOUR BLOG SO UPDATE ALREADY!congratulations.